On the next episode of Claws, Desna feels hopeful that she can fully separate herself from Uncle Daddy, while Polly discovers maternal instincts. 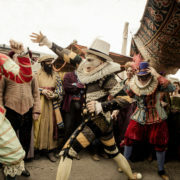 On tonight’s episode of Will, Will requires Alice’s help to him bring an epiphany to fruition, all the while a fugitive from his past rears their head. 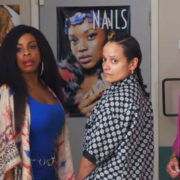 On the next episode of Claws, the ladies decide to compete in a nail-design battle, while Jennifer discovers a secret about Desna. Coming up on Claws, Jennifer learns a secret about Desna, Polly uses her powers for good, and Quiet Ann finds herself torn over a big decision. 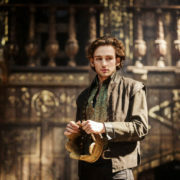 TNT has released synopses for the first five episodes of upcoming drama Will, which follows a young William Shakespeare in London. On the next episode of Claws, Desna and Jennifer go on the hunt for Bryce, while a disturbing billboard leaves Dean shaken. On the next episode of Claws, Desna finds herself haunted by Roller’s death, while Bryce falls deeper into the clutches of the Dixie Mafia. On the next episode of Claws, Virginia’s lies about what happened to her deepen, causing Desna to have to play catch-up to avoid suspicion.